Christmas has definitely arrived at Quinton House School with our lovely Q2 Christingle Service starting the season of festive events with a focus on Christmas around the World. On Saturday afternoon we have our ‘Christmas at Lindens’ event for our younger pupils and all families from the school community are warmly invited to attend. The highlight will undoubtedly be story time with Santa Claus and the Elves and a chance to see and touch the reindeer that will be bringing him to our homes on Christmas Eve. Next week we start our programme of Nativity services and Christmas events culminating in our whole school Carol Service at All Saints’ Church, Northampton at 6pm on Tuesday 11th December. The quality of the singing and music will certainly be a joy if replicating the standard of performance in this week’s Tea Time Concert. All members of the school community are warmly invited to attend. In our Senior School assembly, chocolate was the focus as we looked at the life of philanthropist George Cadbury. It was especially pleasing to be able to congratulate our Sixth Form students currently organising the Senior Citizens Christmas Party and to thank those parents that have already provided gifts for the occasion. Gifts of a more practical nature have also been donated by students from all age groups for our Reverse Advent Calendar organised by the students in 9MM, another excellent example of thinking of others. Our assembly on Thursday also allowed us to celebrate some of the excellent achievements of our students in recent weeks. This included the success of nineteen students who now have had their work published after entering the National Short Story Writing Competition to celebrate Roald Dahl’s birthday. Millie Pates also deserved a special mention having won through to the National Final of the Diamond Teflon Competition for Cooking. Millie now goes forward to London in January to cook her special mushroom dish at the Waitrose Cooking School in the National Grand Final. Congratulations must also go to Luke Phipps who was a winner in the Eastern Region of the ISA Junior School Art Competition. Luke was also in great form running around the school grounds as our Cross Country Team performed with considerable success in our first ever Invitational Cross Country Match. Global travel was a theme of this week with parent meetings for our forthcoming school trips to Paris, the Battlefields of World War 1, and South Africa on the sports tour. We must say goodbye this week to our first cohort of visitors from Cognita schools in Chile. Our guests have all been excellent ambassadors for their schools and it is wonderful for our students to be actively forming global friendships. As one group of students leaves Northampton a host of Christmas cards from across the world have arrived for our Junior School pupils to open next week. 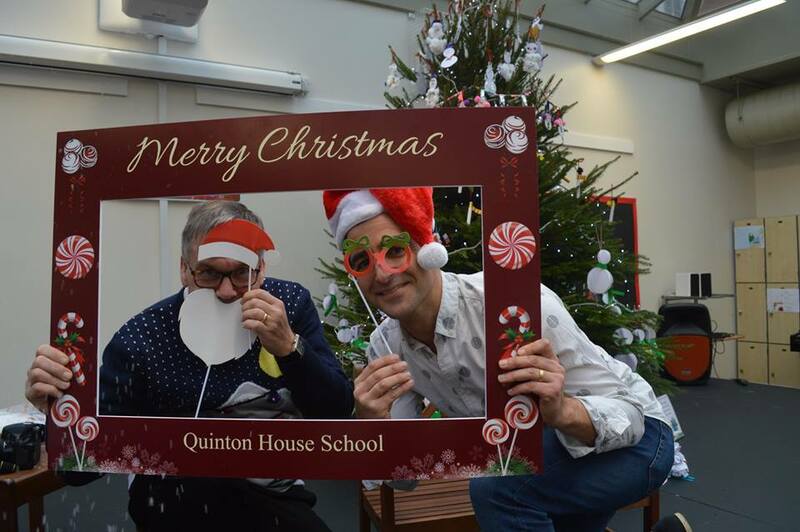 Christmas really is a very special time at Quinton House School.